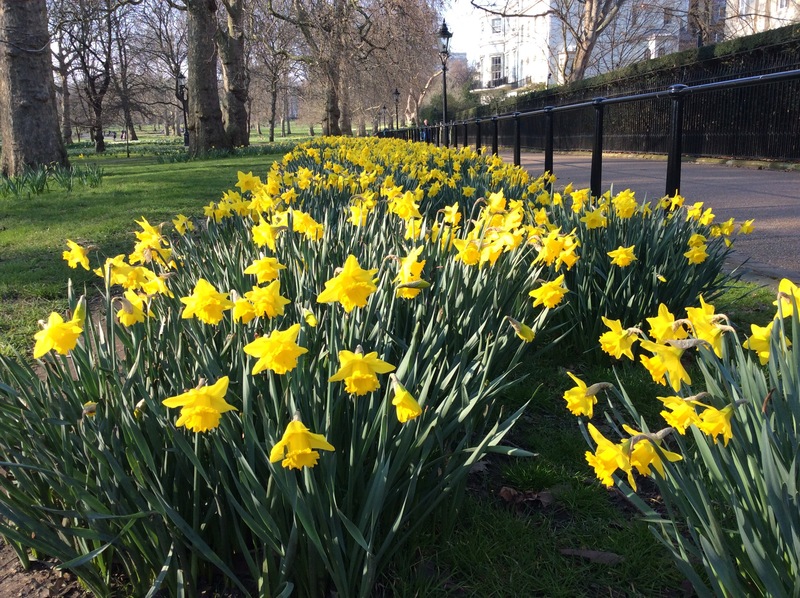 Here is a delightful photo of bright and breezy daffodil heads bringing colour to the Royal Parks of London. In the UK one can witness daffodils as early as December (East Sussex) and as late as late May (Perthshire, Scotland). To celebrate Queen Elizabeth II’s Golden Jubilee in 2002 more golden daffodils were planted in Green Park and here they are in their floral glory. 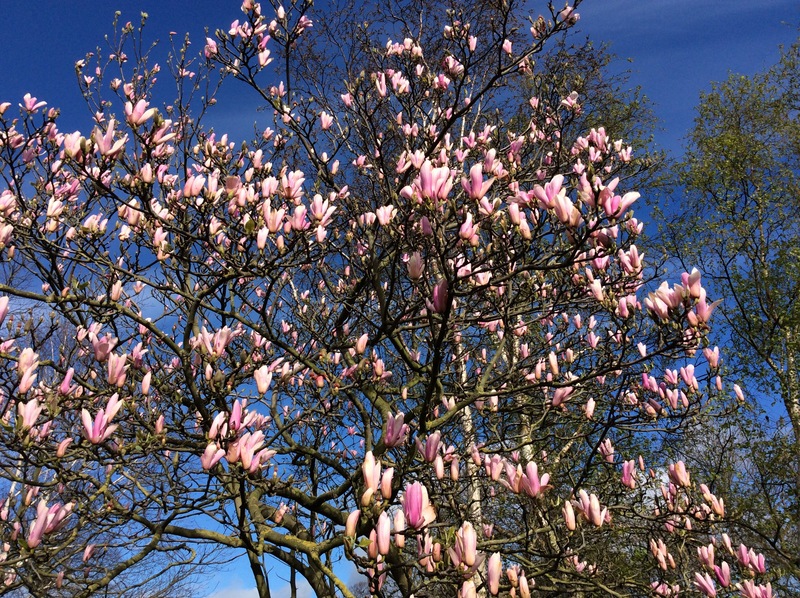 William Wordsworth wrote in 1804 a classic poet’s dedication to this supremely beautiful spring flower, with its open trumpet, framed frilly petals and long firm stem. Ahh silence is golden. ‘I wandered lonely as a cloud’ was inspired by the daffodils on The Lakes in Grasmere which William’s sister Dorothy had described in her journal of April 1802. It must also be recognised that many of the lines were hers. “I never saw daffodils so beautiful,” wrote Dorothy. Every spring they rise again, a fitting metaphor for the symbol of Easter.